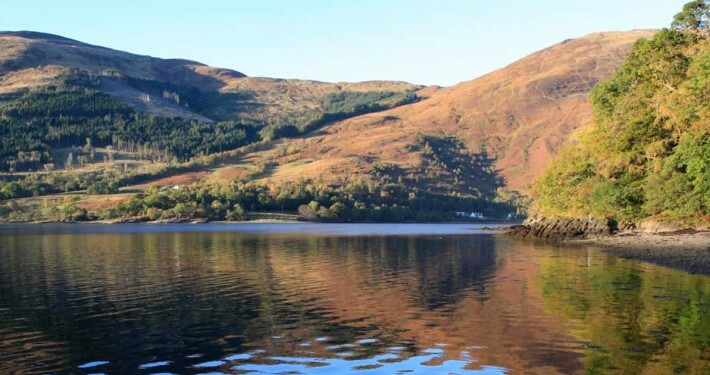 Invercoe is easily assessible from the main Glasgow – Fort William A82 road after travelling through majestic Glencoe. The Park provides a well-stocked shop, which is open from Easter through to September. For basic groceries and “camping bits and pieces”. The launderette provides washing machines and driers plus sinks and ironing equipment. The launderette is coin operated. The toilet and shower facilities are included in the prices and are maintained to a high standard. There are also hair-driers installed. 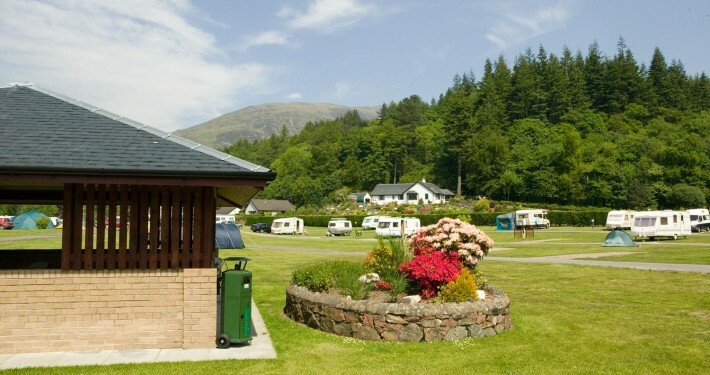 The camping area has a large covered picnic area with facilities for barbeques. 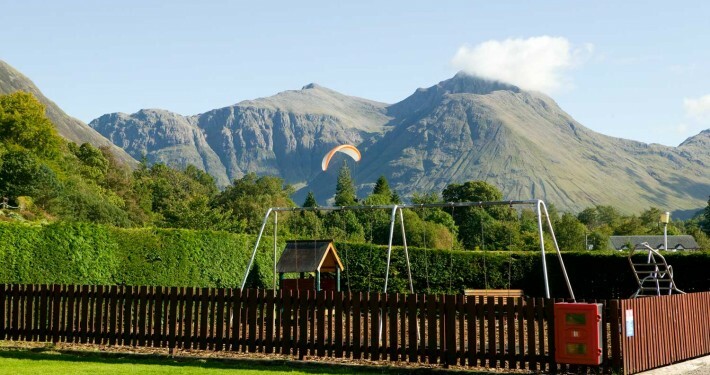 There is also a large childrens’ play area with swings and climbing frame. 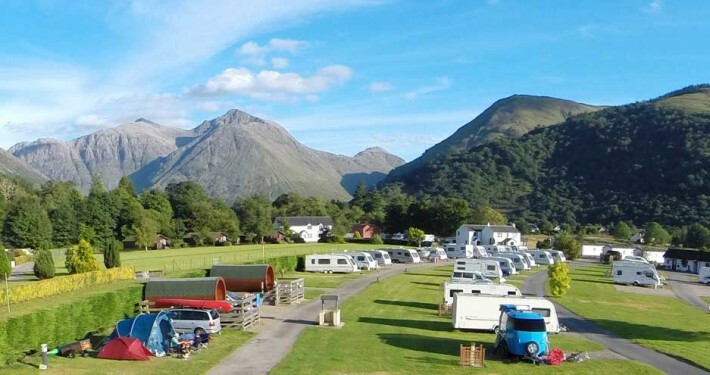 Throughout our camping park in Glencoe we have installed a number of anti-midge machines which are effective and add to your enjoyment. 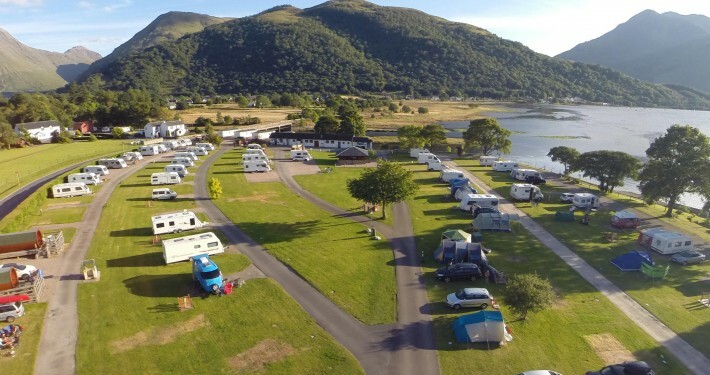 The touring park faces onto Loch Leven – a tidal sea-loch. We have easy access and launching into the sea from our slip facilities for boating, canoeing and fishing.